…a Thermal Spray Serum to be used with your flat iron. For those of you familiar with my Salon Tales, you know that yours truly has fine hair, is a blonde (bottled, but blonde none the less) and is a die hard fan of aerosol flat iron sprays…until now. 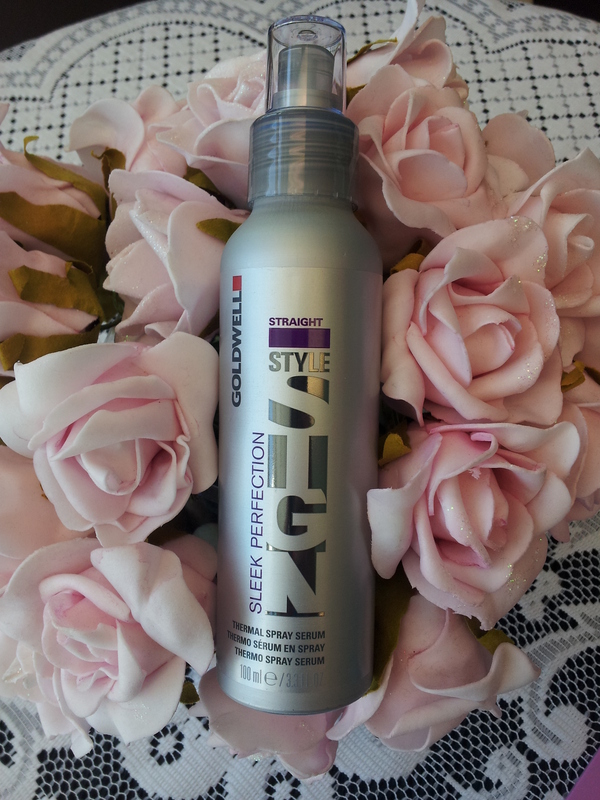 Goldwell Sleek Perfection is a non-aerosol spray that dries in an instant – you would swear it was an aerosol. Fast drying = no sticky residue or wet spots that sizzle when your flat iron makes contact. Goldwell Sleek Perfection reduces hair breakage up to 50%, leaves your hair feeling soft, silky and frizz free for up to 24 hours. ….and it smells wonderful. The secret to this FAB! product are styling polymers enriched with Bamboo proteins that form an elastic film which is enhanced by their exclusive elastomer. *the polymer film also contains an integrated protection complex that consists of UV-A & UV-B filters, Pathenol and the agents that trap free radicals = long lasting color protection and hair that has a smooth, glossy surface with a natural feel and flexible hold. For best results, apply to dry hair before using your flat iron. *That Girl in the Red Coat tip – flat iron your hair, section by section. Use a clip to keep excess hair out of the way, spray the section of hair you are going to flat iron and continue. I find this technique ensures an even coverage of spray and protection and I achieve a smoother look. Hello Beauties! Yes, it is Monday once again…have no fear! I have a gem of a product that will make every hair type – long or short, sleek or curly, frizz free! Monday and everyday!…yes! it’s true. …and with wedding season and BBQ season upon us, we can use all the help we can get. This gem of a product has become one of my “must have” products for the spring/summer months. As we all know, humidity isn’t always the bff of our new ‘do, until now. Humidity Guard by Quantum is your guard against humidity. Offering humidity resistance for up to 24 hours, Humidity Guard will provide all day control, lock your style in place – even when humidity is at 100%. It helps to eliminate those little hairs along your part that are trying to flyaway with the seagulls. * An added BONUS to this FAB! product – it offers thermal protection. Humidity Guard is safe to use with thermal styling tools (up to 450 degrees Fahrenheit). ** Another BONUS – for my blonde Beauties – natural or bottled like yours truly – Humidity Guard will not leave a brassy film/effect on our lovely tresses. The scent is fresh yet not overpowering, so it is becoming a favorite for the Gents too. It is color safe so no need to worry about losing the vibrancy of your new found shade of blue, red or blonde. Humidity Guard is a fast drying spray so you never have to wait for the spray to dry before applying heat and no worries of crunchy, sticky hair. 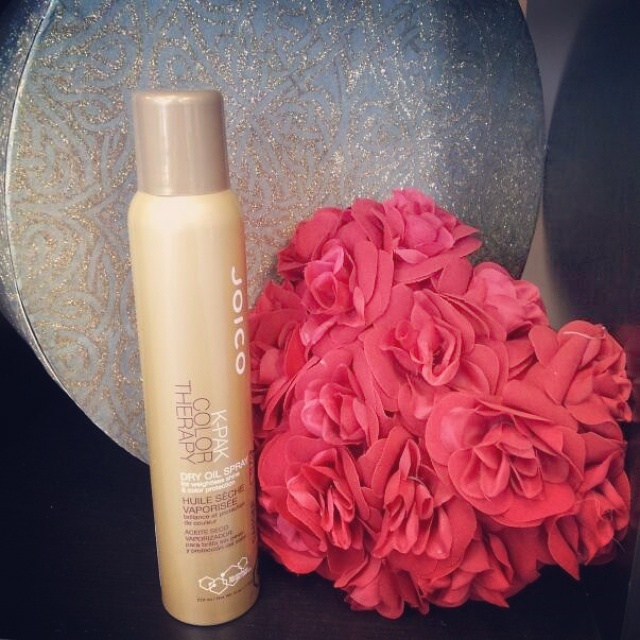 For best results, apply Humidity Guard to dry hair. It can be used with your flat iron/curling iron or, once you have achieved the style desired for your day, after setting your look with your favorite hairspray, mist Humidity Guard by Quantum all over your hair. I promise you, your style will hold up all day and all night. ***Another BONUS! This gem retails for $13.25.